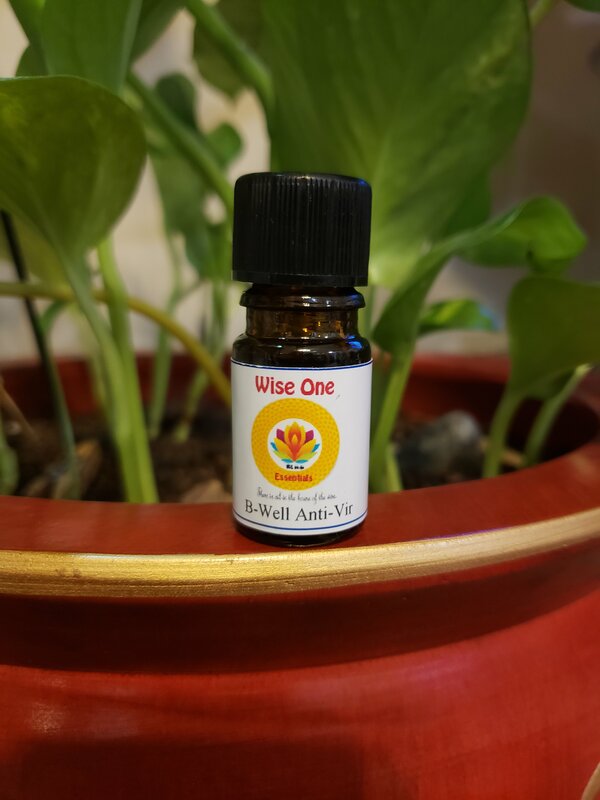 B-Well aromatherapy blend contains essential oils of Bergamot, Cajeput, Cardamom, Cypress, Eucalyptus Globulus, Eucalyptus Citriodora, Lavender, Lemon, Sweet Marjoram, Melissa, Myrrh, Niaouli, Peppermint, Ravensara, Rosemary, Rose Otto, Tea Tree, and White Thyme. Over-stressed, over-worked, over-tired? This blend was created to help when you're starting to feel puny and run down. The oils are carefully blended in specific proportions to create a very special alternative approach to wellness. One of the great advantages of using essential oils is that they can be used externally, either by diffusing them into the air, by applying them to the body in a massage oil (use 1-2 drops per teaspoon / 8-10 drops per ounce) or in a bath.